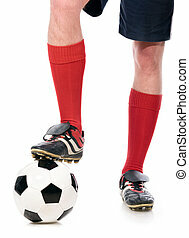 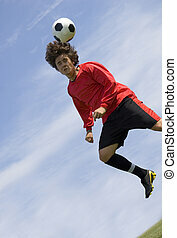 Football - soccer player volley. 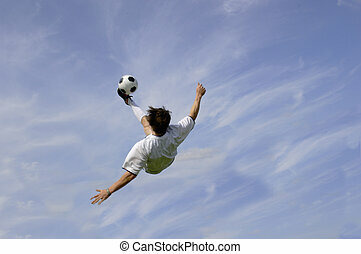 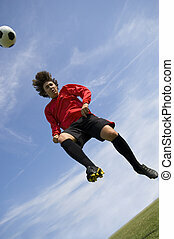 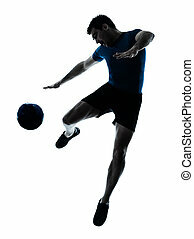 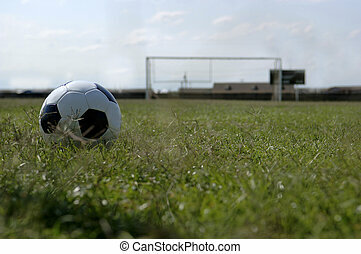 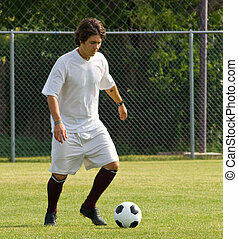 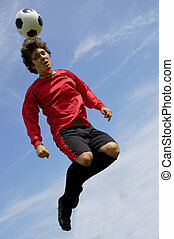 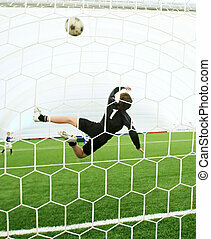 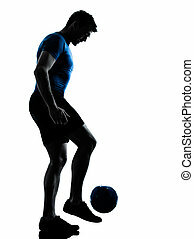 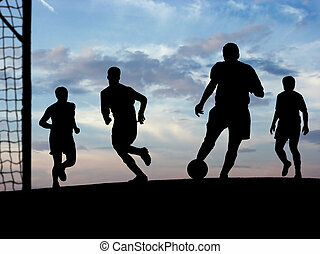 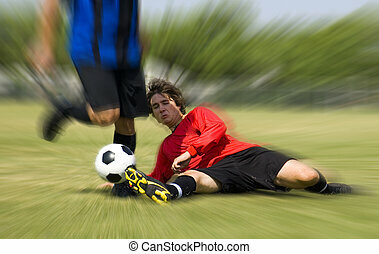 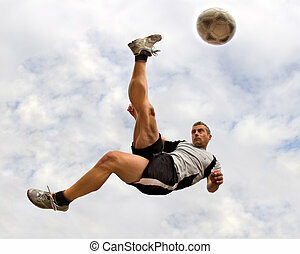 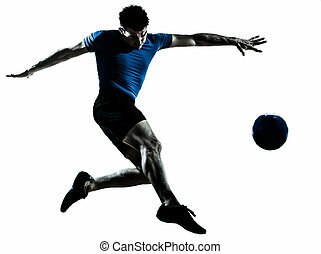 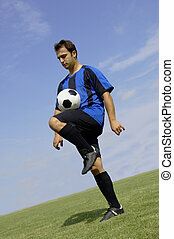 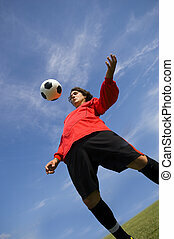 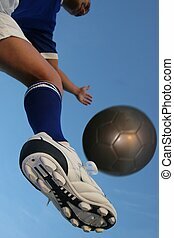 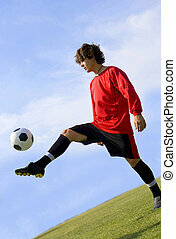 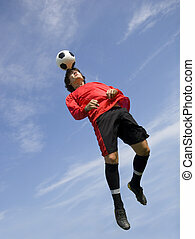 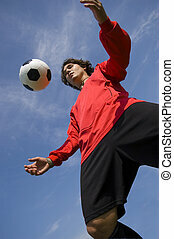 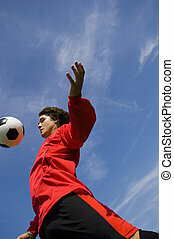 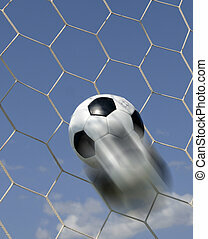 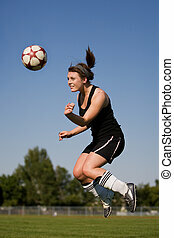 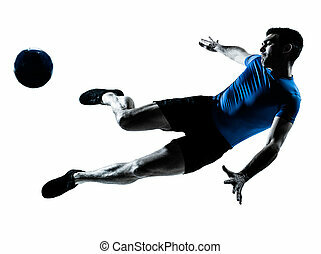 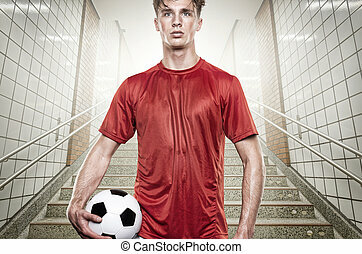 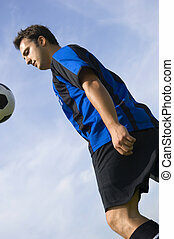 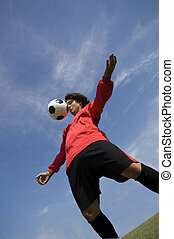 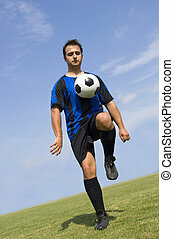 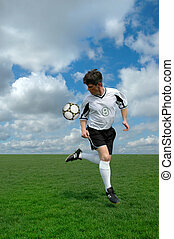 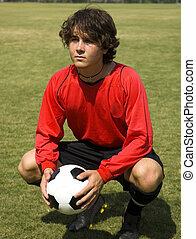 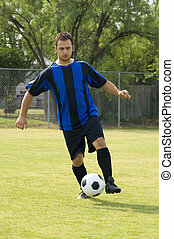 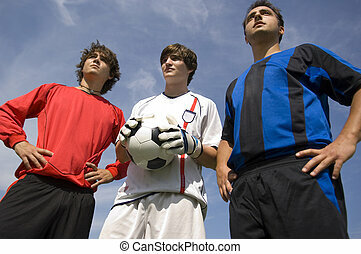 Football - soccer player against blue sky making volley. 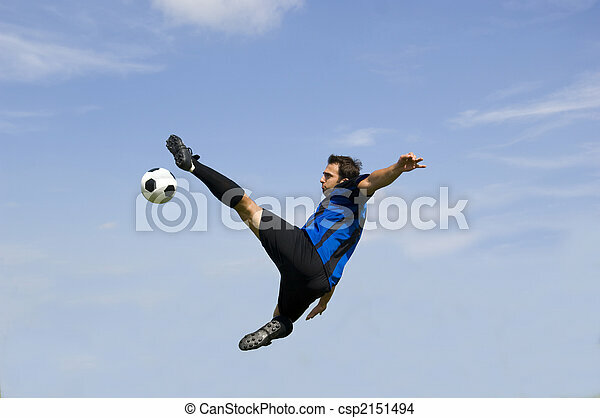 Soccer player performing a back kick over a colorful background. 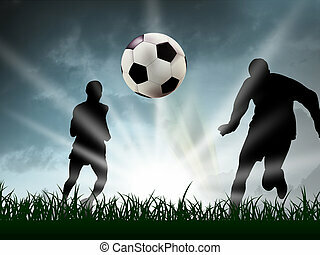 Football, soccer match. 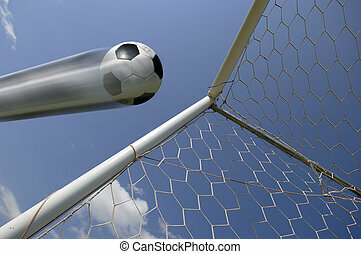 A player shooting on goal. 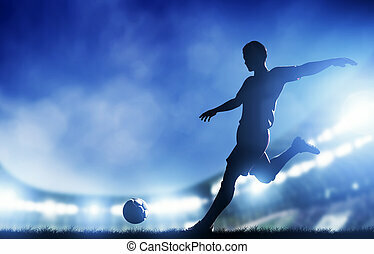 Lights on the stadium at night.